The unit is designed by skilled artisan in Premium Quality Mango Wood. Aarsun Woods Bring the best of decorative partitions and privacy screens to bring completeness to existing home decor. 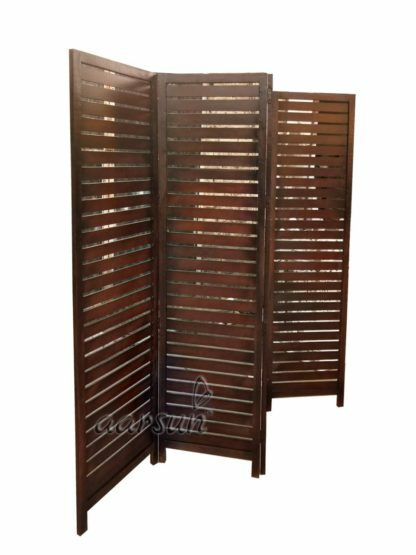 Just have a look over the Mango Wood Room Divider / Wooden Separator 4 Panel Screens; it is ultimate in its category. 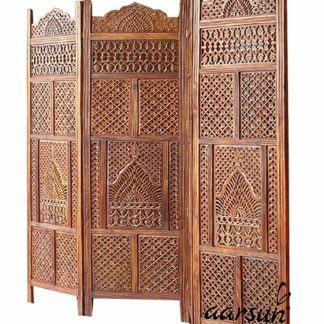 The traditional style of this 4 Panel Wood Screen / Wooden Room Divider simply sweet and it is sure to compliment any home decor. Define space and create privacy with this screen, which is a simple, elegant way to divide a room. Room dividers are great for dorm rooms / Hall, bedrooms and other areas that need dividing or privacy solutions – also useful for creating separate spaces in a shared home office. This 4-panel folding screen / Wooden Panel features a Mango wood frame and design. 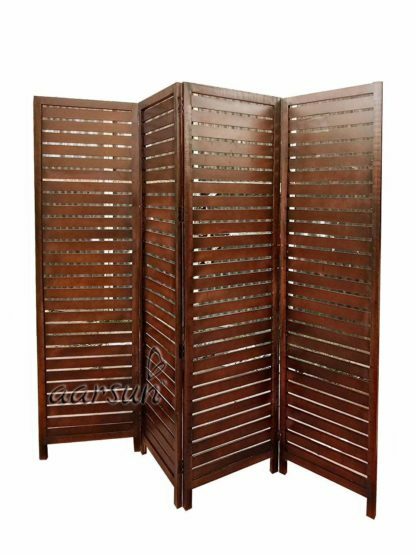 Add instant decor and privacy to your home with this beautiful Wooden Room Divider / Privacy screen. The unit consists of 4 panels and each panel comes in a standard size of Height approx. 72 inches (6 feet) and 20 inches wide. We provide shipping to all parts of India. the packaging of the unit is done in Wooden Crate Boxes so as to avoid any damage while in-transit. We provide best possible services to all our clients and believe in strong customer relationships.